Get the lowdown on PokerStars Casino from Casino Veteran’s review. Some say he was found underneath a slot machine, others that he quotes probabilities in his sleep. He is the Casino Veteran, and he has been checking out PokerStars Casino. 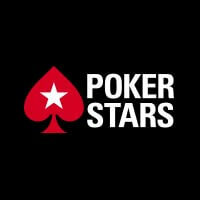 PokerStars earned its reputation as the world’s leading poker site and its casino site also has a good reputation. 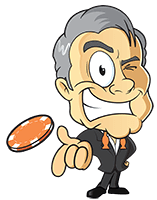 In terms of speed, functionality and layout it is one of the best online gambling sites around, and it has a healthy selection of games from a wide range of developers ­– particularly in its table and card games category that is second to none. The site holds licences from the UK Gambling Commission, the Malta Gaming Authority and the Isle of Man Gambling Supervision Commission. It is audited by Gaming Labs and has a good reputation among many players, thanks to its 24/7 customer service, a wide selection of titles and attractive layout. Mobile gaming is a vital sector of the online casinos industry and PokerStars Casino fits the bill for those who like to play on the move. The site is designed to work well on all mobile operating systems, and players can access it on a smartphone, tablet or laptop. Three 100% match deposit bonuses, with up to $1,500 to be claimed. Two sets of Free Spins on exclusive Progressive Jackpot Slots – 20 guaranteed with your first deposit, and up to 2,000 more to be unlocked. One month to claim your rewards. This is a competitive bonus and a good way for players to start their casino visit. PokerStars Casino does not impose a wagering requirement for the above offer. While players in most countries can play at PokerStars Casino, the list of restrictions is fairly long and notably includes the United States, France and Italy. Whatever casino preferences or level of experience players have, they should be able to find a large range of games to suit them at PokerStars Casino. The Casino Veteran knew all about PokerStars’ poker reputation, so he was keen to check out its online casino. He reclined in his office, poured a glass of whiskey and took out his laptop. His first impression was definitely positive. The clean, pleasant layout of the website was welcome, and the new account registration process was simple. Browsing through the available games, he was impressed at the range of table games and enjoyed a few hands of stud poker, Courchevel and baccarat, before checking out the slots titles. He was able to play many of his favourites, including Starburst and Jackhammer, and after a few spins of roulette, he logged out with a favourable verdict.